There’s a new man at the top of Disney’s theme parks and resorts. Meet Bob Chapek, who takes on the role immediately from now COO Tom Staggs who held the position prior. Mr. Chapek is a 22-year Disney veteran who has most recently served as President of the billion dollar consumer products division of the Company since 2011. Prior to that, he served as President of Distribution for The Walt Disney Studios from 2009 to 2011. He also served as President of Walt Disney Studios Home Entertainment in his early years. 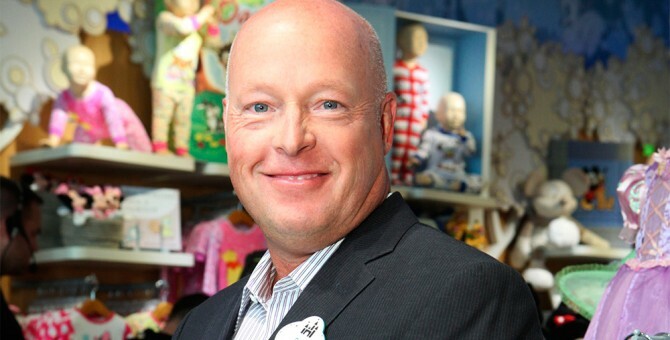 A successor to Mr. Chapek at Disney Consumer Products will be named at a later date. Mr. Chapek holds a B.S. in Microbiology from Indiana University Bloomington and an MBA from Michigan State University.